Oliver Watson's world suddenly dissolves around him when Sarah, his wife of eighteen years, returns to Harvard to get her master's degree. Oliver is left on his own, with three children and a freedom he never wanted. When Oliver's mother is diagnosed as having Alzheimer's disease and dies soon thereafter, Oliver's father's life is changed as well. Braver than his son and with less of a future before him, George Watson, at seventy-two, quickly embraces new relationships and, eventually, a new marriage. Ben, Oliver's oldest son, rejects his father and reaches outward, under the illusion that he is grown-up and can make it on his own. Melissa, the middle child, blames Oliver for her mother's desertion. And Sam, the "baby," is too shaken to deal with it at all. 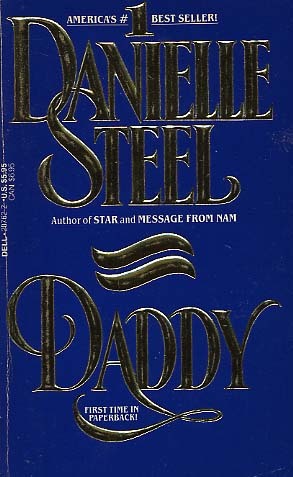 Now the only parent, "Daddy" must somehow cope with his troubled family and explore a world of new responsibilities, new women, and new experiences. Each of the three men must start a new life: Oliver in New York and then in Los Angeles with his children and his new relationships with women; his widowed father with the woman next door; and seventeen-year-old Ben with his girlfriend and baby. Nothing is as it was before... nothing is as they once thought it would be. But in the end, different is better ... different is more... for each of them--and especially for "Daddy."